Mary J. Blige attends the premiere of Paramount Pictures and BET Films' "What Men Want" at Regency Village Theatre on January 28, 2019 in Westwood, California. 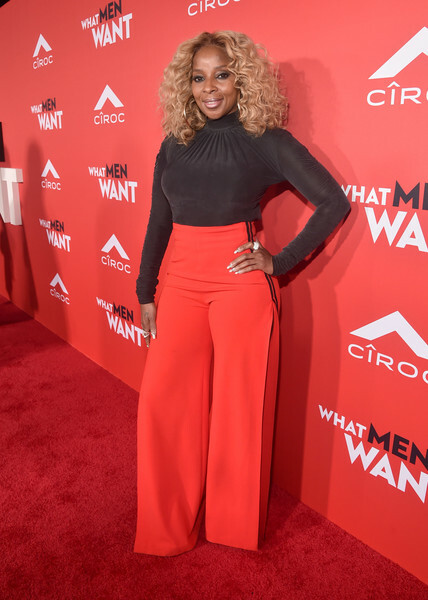 Mary J. Blige attended the premiere of 'What Men Want' wearing a fitted black turtleneck. Mary J. Blige paired her top with red wide-leg pants by Vatanika.